A vibrant, detailed full color art print made with Epson lightfast inks in my studio on lush, velvet paper. 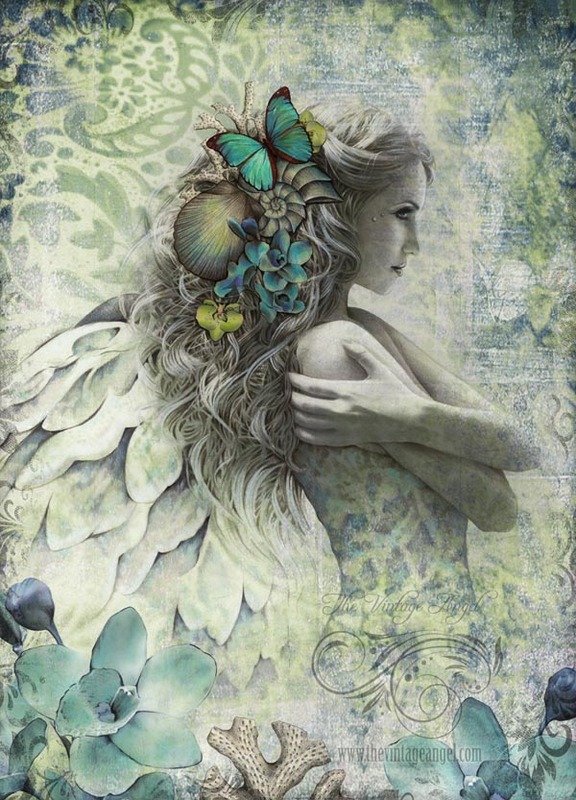 This angel with print with ocean inspired details is made from my original Prismacolor on digitally toned paper drawing and features an ethereal angel with seashells in her hair. Image is 12.25" x 17" and paper is 13" x 19". The artist will hand sign your print in the white border before shipping. Print ships flat on backing board in a clear sleeve.